'Sherlock' Season 3 Finale Photos! So soon already, 'Sherlock' season 3 will be at an end with this coming Sunday's finale installment "His Last Vow," pitting Sherlock Holmes and a newly-[spoiler!] John Watson up against the threat of Charles Augustus Magnussen (Lars Mikkelsen, brother to ‘Hannibal”s Mads), the "Napoleon of Blackmail." The full set of photos from the finale have arrived so what can we deduce about the latest cliffhanger closer for our beloved BBC series? Magnussen looks perfectly slimy, as Sherlock himself put it in the most recent trailer, “I’ve dealt with murderous psychopaths. None of them can turn my stomach like Charles Augustus Magnussen.” The new photos of "His Last Vow" highlight one of the villain's victims, while the overall dark-looking installment also spotlights a gravely concerned Sherlock and Watson, both individually and together. 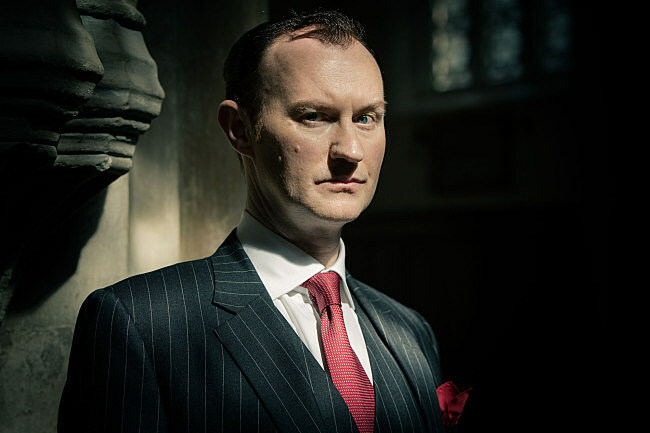 And let's not forget dear Mycroft! Benedict Cumberbatch returns as Sherlock Holmes, with Martin Freeman as John Watson, Mark Gatiss as Mycroft, Rupert Graves as Inspector Lestrade, Una Stubbs as Mrs Hudson, Amanda Abbington as Mary Morstan, Louise Brealey as Molly Hooper and Lars Mikkelsen as Charles Augustus Magnussen. “His Last Vow” airs in the UK on January 12, while American viewers can catch the season 3 premiere on PBS January 19. According to Steven Moffat himself, The BBC has officially commissioned ‘Sherlock’ season 4, while he and Mark Gatiss have already plotted through a potential fifth season. Well, what do we think? 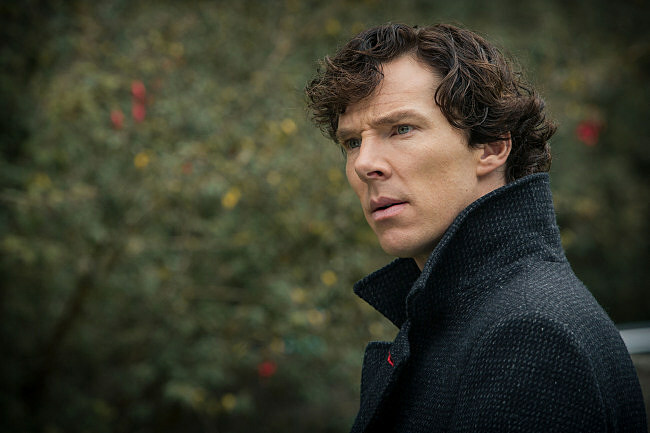 Will there be a body count to "His Last Vow," or perhaps another cliffhanger to leave us on? Check out full photos of the 'Sherlock' series 3 finale below, and give us your predictions in the comments!